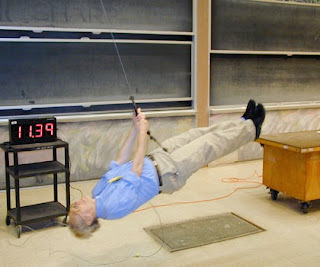 MIT’s Professor Lewin has proves a smash hit with his online physics lectures. “It sounds arrogant, I know, but it’s better to see a first class lecture on video than a mediocre one in the flesh”. Use the FREE stuff because it’s better. This is a simple solution to a massive problem. Students are already voting with their fingers and dumping their third-rate, real, local lectures for first-rate, online, global lectures. The same can apply to most standard teaching and training lectures. The traditional model is to have poor lectures which are never recorded. The very idea of not giving students a second bite of the cherry is absurd. If you were a journalist or novelist, you wouldn’t dream of standing up and only giving people one chance to hear your work. Publishing has been around since the 15th century, it’s about time teaching and training caught up.